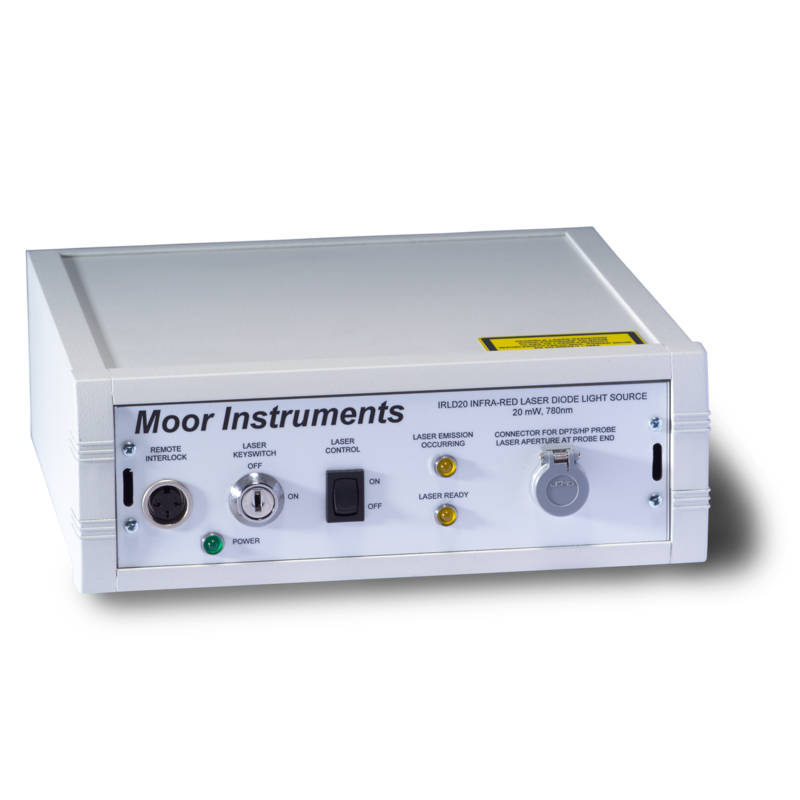 This system has now been superseded by the moorVMS-LDF1-HP, for full details please click here. 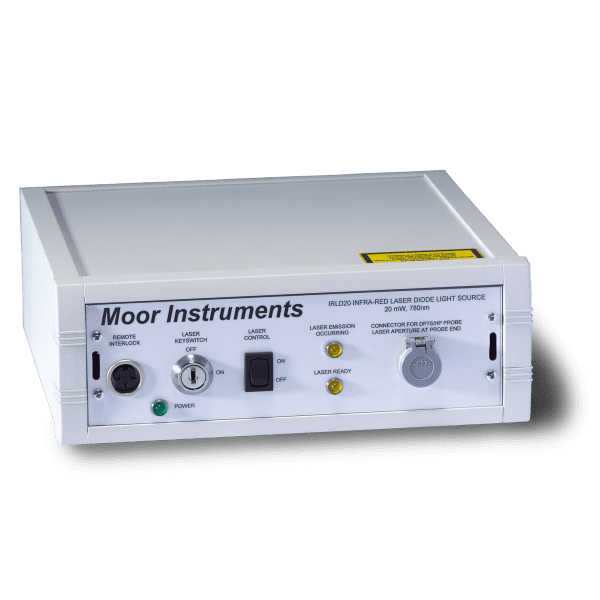 The IRLD20 infra-red laser diode light source is a separate mains powered accessory for the DRT4 which allows measurements to be made using a higher power laser than that used in the standard DRT4. The IRLD20 allows measurements to be taken specifically from deeper tissues where measurements are impractical using the lower power of the standard DRT4 and the narrower fibre separation of standard probes. The typical output power from the IRLD20 probe tip is approximately 20mW at 785nm. Typical applications include measurements from bone at surgery (e.g. assessment of flow in the femoral head), or non invasive measurements of muscle flow through lean skin.